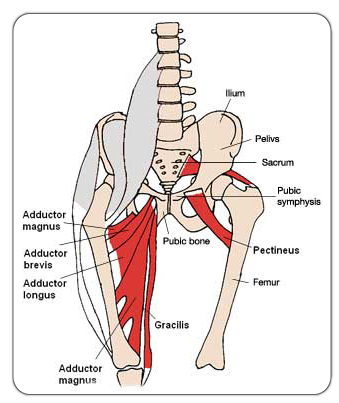 Adductors are a group of muscle on the inside of your leg that run from your groin area down to your knee region. They are an interesting group of tissues because some aid in extension of the leg while others help with flexion. However, when all fibers are contracted simultaneously adduction (bringing the leg toward the midline) happens. The unique nature of this group of tissues make them vulnerable to overuse injuries. … So lets take care of them.